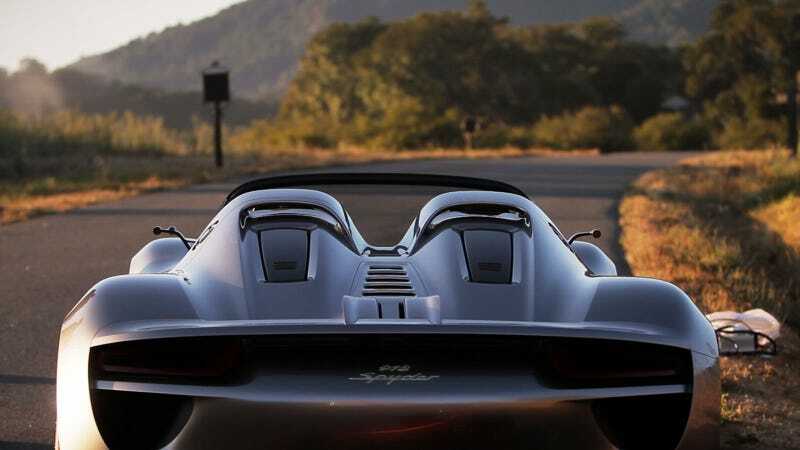 The Porsche 918 Spyder's mix of power (500 hp) and efficiency (78 MPG) puts it in an unpleasantly expensive price range ($600K $845K), but this photo of one staring down a long, empty road reminds us why we'd be willing to do some pretty weird stuff to get behind the wheel of one (Vietnamese shame wheel). This particular photo was snagged by Will Barber of TangentVector while they were creating video of the North American debut. The 1600-px version is here and the giganto-desktop version is on our Facebook page (no, you don't have to "like" our Facebook page or even sign in to the service. It's right there in the "photos" section on the left).